When I was a little girl my maternal grandmother used to make Gazpacho. In Puerto Rico gazpacho is an avocado salad with cod fish, tomatoes, white onion, an olive oil. I remember she would eat it inside bread, just like a sandwich. 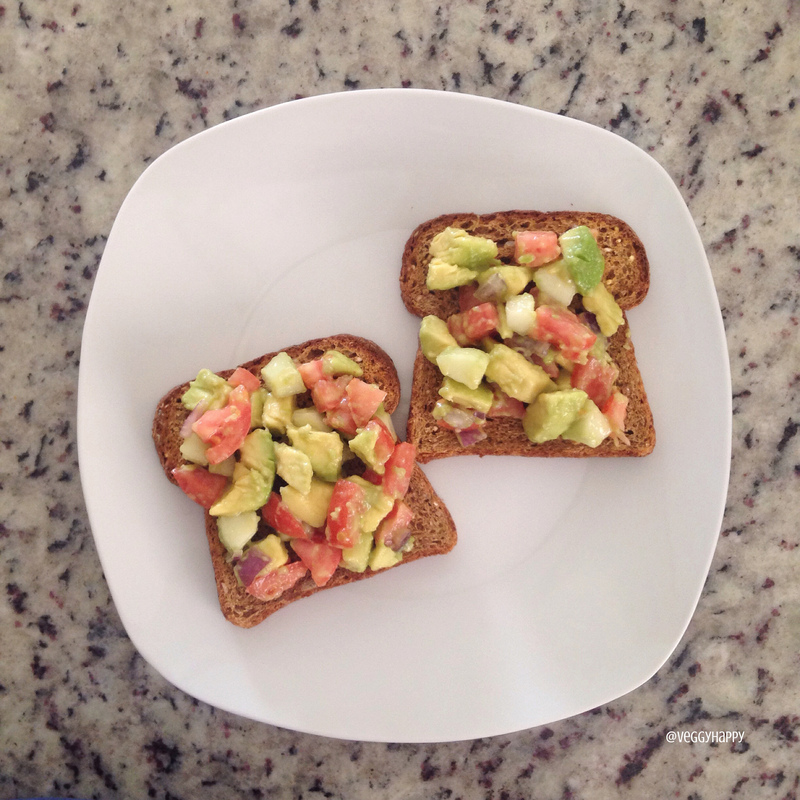 Well, this morning 2 of my avocados were ready and I decided to make avocado salad for breakfast. Of course I had to change the ingredients but it still reminded me of some wonderful Sunday mornings I spent with my grandma. Cut the avocados in half and remove the seed. Slice the avocado flesh with the tip of a knife making square sections without cutting the skin. Scoop the avocado flesh with a spoon. Add the chopped tomatoes, cucumber, and red onion. Sprinkle the juice of the lemon and add the Himalayan salt. Mix well and enjoy! Corte los aguacates a la mitad y remueva la semilla. Con un cuchillo corte la carne del aguacate en un patrón cuadricular sin cortar la piel. Separe el aguacate de la piel con una cuchara. Añada los tomates, pepino y cebolla roja. Agregue el jugo del limón y la sal de Himalaya a gusto. Mezcle bien y disfrútelo.